The stability of your home depends on its foundation, which holds the structure and keeps it upright. The stronger the base is, the stronger your property will be. Years of wear and tear combined with Lafayette’s soil condition, however, can take its toll on your foundation. Eventually, you’ll see signs of a failing structure, starting from its base. Failure to address these may lead to costly structural problems in the future. 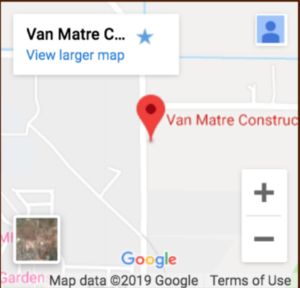 Van Matre Construction, LLC gives your home the stability and protection it deserves. Our years of experience in the field has honed our skills and knowledge in professional concrete foundation repair in Colorado. Colorado homes are susceptible to foundation issues due to the state’s expansive soils. Expansive soils easily absorb water and increase in volume over a short period. The more water they absorb, the more their volume increases. Drastic changes in the volume will exert enough force on your home to cause damage. Cracked foundations, basement walls, and floors are the common problems caused by swelling soils. On the other side of the coin: the lack of water also poses a problem for homes on expansive soil. This type of soil will shrink when they dry out. The shrinkage weakens the structural support and develops fissures in the soil. The latter facilitates deep penetration of water when runoff or moist conditions occur. This cycle of shrinkage and swelling is a common and recurring concern for Lafayette households. The cycle might continue indefinitely, but that doesn’t mean you can’t do anything about it. The first step to preventing or addressing foundation problems is hiring us. Quality Services - Quality is a priority in every project. We keep abreast of our training and knowledge about the techniques and tools to keep your home standing and stable for the years to come. Our team uses only top-quality concrete foundations. We make sure they are straight, square, and properly leveled. Project Transparency - You are never in the dark with us. We always let you know about how your project is progressing the progress of your project. You are also the first to know in case there are hiccups or hurdles. We will consult with you first before we make structural changes. Consumer Education - We want to give you peace of mind. Our team will educate you on the concrete foundation process so you’ll understand our approach. We also provide expert advice and tips so you can avoid compromising the stability of your home. 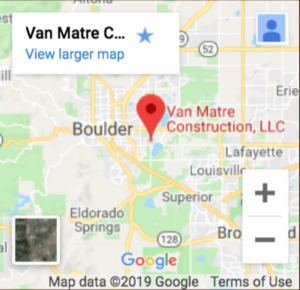 Protect your home with excellent foundation services in Lafayette, CO. Van Matre Construction, LLC will help you maintain your property’s structural integrity. Count on our technicians to finish the project on time and within your budget. Van Matre Construction, LLC has more than ten years of foundation repair expertise. We have helped hundreds of homeowners resolve problems caused by lateral movement, vertical movement, and poor drainage. Our concrete foundation repair specialists work to restore your home’s structural stability. If you want an affordable and effective solution for your foundation needs, turn to our services. Carbon fiber repair. We use durable materials that can bear a significant amount of weight and resist inward basement wall movement. Helical Piers. This easy-to-repair foundation solution strengthens homes built on unstable soil. We use piers to stabilize the foundation with minimal landscaping disturbance. Wall anchors. We straighten your foundation with wall anchors. These materials preserve your basement walls without disturbing the lawn or costly foundation replacement. We don’t believe in one-size-fits-all solutions. Every home has a specific set of structural issues. We address all of them by designing custom solutions that meet your requirements.